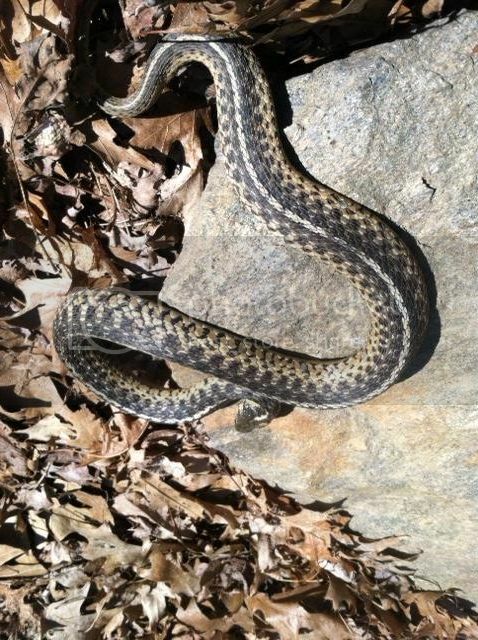 Kingsnake.com - Herpforum - First find of the season. First find of the season. Out fishing this morning and as i was walking around the reservoir i thought ehh why not flip a log or two, found this guy first log. Getting pumped for this season. Sorry for poor pic quality i wasnt planning on herping so i had to use cell phone cam.